Yesterday I posted a link to Mark Galli's article at christianitytoday.com about the phrase that is usually attributed to Saint Francis: "Preach the gospel at all times; when necessary, use words." It is true that that epigram is not actually found in Saint Francis' writing or in the early biographies about him, and while that is an interesting historical tidbit, it is not my concern. I found myself rather uncharacteristically stirred up by Galli's article, and was particularly stunned by his last line: "Preach the gospel—use actions when necessary; use words always." Use words always. Actions, when necessary. 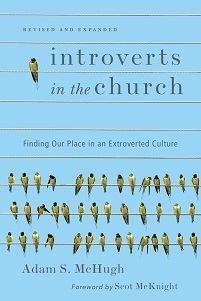 I am not only confused by this line, and cannot square it with my reading of Jesus and the entire New Testament, but as an introvert who is deeply invested in the discipleship of other introverts, I am concerned that 1) This article demonstrates and supports an evangelical over-emphasis on words and 2) The article will confirm the feeling many introverts have that evangelism is for extroverts only and that we are either exempt from it, or worse, spiritually inadequate to practice it. If "use words always" is the watchword of evangelism, then frankly, I don't want to be a part of it, and I know a lot of introverts who will be with me on that. I want to give Galli the benefit of the doubt about his last line. I'm hoping that he was being extreme with a purpose, that he wanted to stir the pot for those people who have found protection in the famous phrase from being uncomfortable or taking risks. Undoubtedly many Christians have hid behind that line as a reason they are not required to speak of Jesus. The line attributed to St. Francis, if understood as a justification to shrink back from preaching the gospel, is injurious to the Great Commission. However, I am also utterly convinced that evangelism involves every part of us, not just our mouths. I am worried that Galli's article communicates that our actions are mere props for our words, simply the garnish for the main course. That somehow in our actions we're just drawing a crowd for the "real" experience of preaching of the gospel. Perhaps there are some people who are unimpressed by our rhetoric and need a little push, which we can effect through our actions. Yet true evangelism, as every part of our lives as Christians, ought to proceed from who we are. And we are more than words; to be human is to participate in every layer of reality - word and deed, flesh and spirit, noise and silence, speaking and acting. True, effective evangelism must address every aspect of humanness, and our words alone will simply not suffice for that. We're not merely calling people to intellectual assent, we're calling people to a life and our evangelism must be life-oriented more than word-oriented. Psychologists have shown that 80% of communication is non-verbal, which means the vast majority of our relationships do not involve the content of our speech. If that is true, then shouldn't our evangelism actually major on our actions, and other forms of non-verbal communication, rather than on words? Given that probably the most effective evangelism in our day happens in process, in the course of longer term relationships, the reality is that much of our relationships will not center around words. Thus, we must learn to view evangelism as involving so much more. To repeat myself, our words are significant, central, and necessary, but still only one part of the puzzle and perhaps, just perhaps, LESS important than our non-verbal expressions of our faith. To me this opens the door to all kinds of different sorts of evangelism, that have often been viewed as inferior or pseudo-evangelism. Acts of service that help people see the servant heart of Jesus. 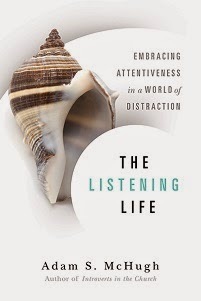 Genuine, attentive listening that abandons our own agendas and places the other person ahead of ourselves in love. Silent prayer that envisions a specific person in the embrace of God. Music and art as vehicles for helping people experience the God of the gospel. I have a friend who is a sculptor who has seen people receive God's grace and tenderness through her art, without her ever uttering a word about what inspired it. Now obviously for people to really grasp the nature of the gospel, words at some point are required. But I've often wondered if the reason that evangelicals are so wordy is because we're lacking in the actions that will truly communicate the life-transforming power of the gospel. There have been other times in the history of the church when either words or deeds were featured at the expense of the other. The time before the second Great Awakening seemed to emphasize doctrine and intellect at the cost of a tender experience of God's grace and holiness of life. The social gospel of the 1920s asked What would Jesus do? but rarely asked What would Jesus say? My sense of the period in which we live, from an evangelical standpoint, is that our words have overshadowed our acts of faith. I am hopeful that this is changing, as evangelicals are rediscovering pivotal biblical, missional issues such as stewardship of the earth, social justice, and caring for the sick and suffering. We pursue these things not as props for getting people's attention, but because we, above all else, are called to love. When we act in love, we introduce others to the God who is love. To draw a hard line between actions and words is a false dichotomy. The two must go hand in hand, both in our individual and communal lives of faith and in our evangelism. The One we worship and follow was revealed as Word made flesh, the message wrapped in the medium, forever marrying words and actions. To be truly human and to serve as faithful agents of his mission on earth, we must follow his pattern.